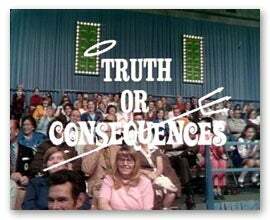 A popular game show called “Truth or Consequences” was hosted by Bob Barker into the 1970s and was one of the most popular game shows of the last century. Contestants on the show had to answer a bizarre question, usually a joke, with the correct answer—the truth—or they would have to perform some embarrassing stunt—the consequences. Monitoring and troubleshooting networks and applications can be much like this game show. If you don’t know the truth, you’ll most likely end up in some situation where there’s embarrassing consequences. Let’s hope that they aren’t as entertaining as the consequences on the show —like learning how to ride a donkey or a unicycle for the first time in front of a studio audience. In this case, it was the server causing most of the delay and then we need to do a deep dive at the server level with an application peferformance management (APM) tool that gets a picture of all the data all the time for every user so we can pinpoint why this server is slow right now. With the following summary, we can quickly see that the top calls from two tiers in this code for .NET execution were causing the delay. In this case, the methods that calculate growth rates and amortization seem to have gotten out of control—with 70 calls for one and a lengthy call for the other. What would be the consequences in this case without all these truths? Tools of the past would be able to pinpoint some of these issues but might not have all the data available to all the teams necessary to address this issue. In that case, there might be a situation room or what some people call the war room at the end of the day where teams get together and try to figure out what’s going. Adding to this idea of truth versus consequences, consider not only having truthful data from each area of responsibility but also a single source of truth in easy-to-administer dashboards—a portal if you will—of all the data ready to be consumed by all those who need to have access, and only having the access required to diagnose and fix an issue for each member of the staff. For example, this dashboard can help you quickly determine the end-user experience and health of an application. The Apdex Score is an industry standard that considers outliers that could be affecting an application that can be lost in averages. The truth in what you measure and what you have available keeps you from any embarrassing consequences. More importantly though, this truth leads to higher revenue, faster problem solving, and you end up being a champion of the game rather than having to perform some crazy stunts.